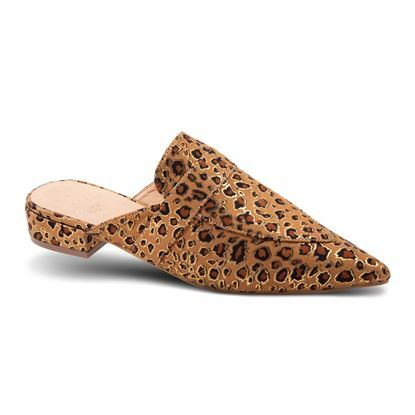 Snakeskin print covers this sleek pointy toe mule. 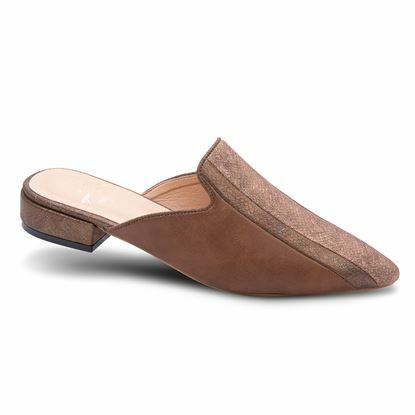 Go from day to evenin in this effortlessly chic little shoe. 1/2" heel. 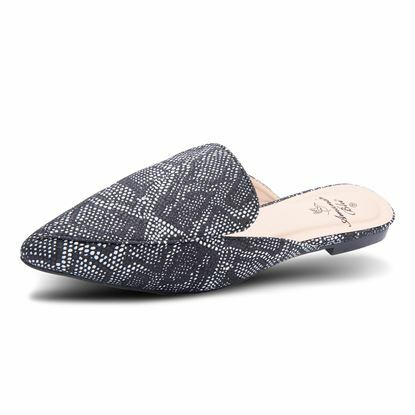 The tri- tone strip features an embossed snakeskin look and sleek pointy toe silhouette with 1" heel. 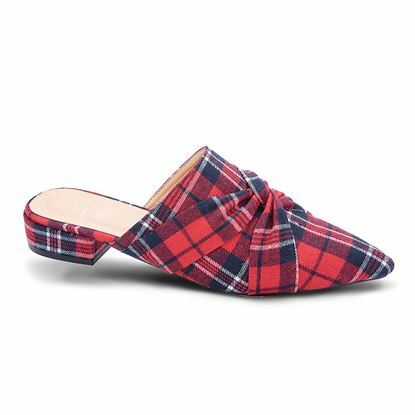 We're mad for plaid! 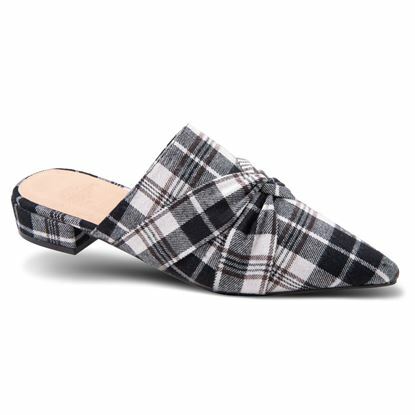 We love these plaid flannel mules that can be dressed up or go casual with your favorite pair of jeans. 1" heel.